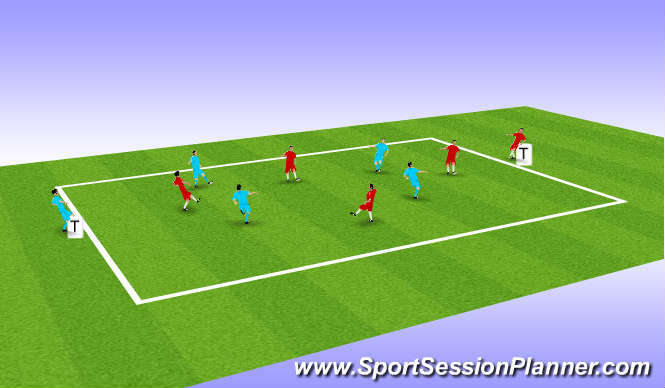 4v4 red v blue pass it into T recieve back and play into other T to score, progress into two touch rotate T players. 1 player in centre others on outside. Two balls. 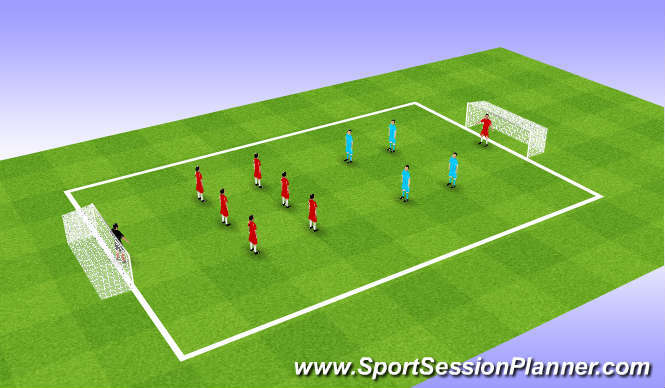 Player in the middle recives and sets player who passes across to otherside, player in middle changes with player who he had set and he looks to set next ball. 6 v 4 pluss two keepers 6 players keep the ball, 10 passes is a goal. If any of the four win the ball they can score in any goal. Passing, reciving, support, weight of pass. 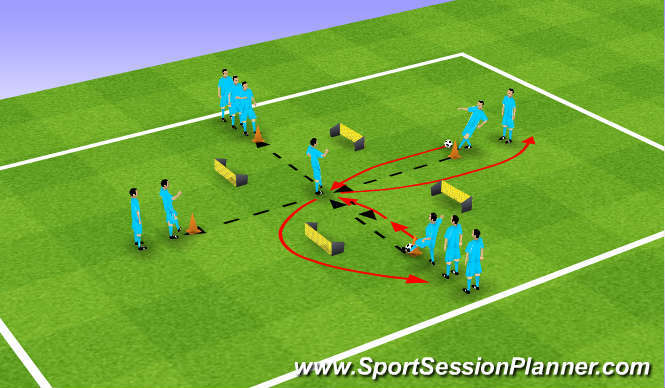 Where and when to support, sets in 6v4 game offer support infront behind and side, strikers decision to shoot or pass. Endurance agility balance co ordination. Players gained confidence and used good comunication. All players worked hard and improved as session went and gained in confidence.